It's time to recap what happened for the month of January 2019 with side stories here and there plus things to look forward to in the coming month. January 2019 was such a great start of the year for me. I have so much I am excited to share to you. Although a mishap happened in the middle of month family-wise, it was an overall happy month. I made progress with the goals and resolutions I made this 2019. I’ve been reading really well being two books ahead of schedule. Yay! I also was able to do my morning and evening routine well. I attended my first ever Leaders Convergence experience and it was amazing. At the beginning of every year, Victory Church attendees are encouraged to be part of an annual week of prayer, fasting and concentration. It is done annually as a form of thanksgiving for the year that went by and the year to come. This 2019, the theme is Great Faith and I can’t be anymore suitable theme especially of how important faith is in a Christian’s life. Just like the recent prayer and fasting I joined, I did a combination of coffee, meal and social media fast. The good thing about joining a fast is you will definitely be filled with the Holy Spirit. It was nice to feed my soul with the Word rather than the world. My prayers included household salvation, excellence in the workplace, financial breakthrough and the opportunity to lead my own Victory Group. I am truly excited for year 2019. I’ve introduced my Victory Leader Ms. Mau in the October 2018 Monthly Recap and January is her birthday. Along with her birthday is Ate Jacque (Ms. Mau’s leader) birthday too so we had a double celebration after Wednesday service at Gino’s Brick Oven Pizza. We had a blast as group jumping from God’s faithfulness to funny snippets of our life. This is what I love with being part of a group. You get to share your faithful journey with people who are either the same or one step ahead of you. I am learning a lot from these women in Christ. Mid-January 2019, my eldest sister had to be admitted at St. Lukes. Apparently, she got food poisoned and had to be treated for almost a week. I can’t share much of the details of what happened to her but the good thing is she is now okay and stable. I spent the weekend at my sister’s condo right after she was discharged from the hospital and we even met to watch Bumblebee before the month ended. What happened to her reminds me so much of how last November 2018 we had a hospital situation too with my brother having been into a motorcycle accident. Anyways, hopeful and praying that no more hospital situation arise as the month pass by. I met Ms. Mau and Ate Jacque again for the Leaders Convergence. Leaders Convergence is the gathering of active leaders and interns for a time of worship, prayer, learning, and knowing what’s going to happen in 2019 for Victory Makati. There’s truly a lot to look forward to this year especially with discipleship programs in the lineup. Being active in the church community helped me so much in my spiritual growth. Being in a place with people who are just on fire is inspiring. For the session we had Bishop Manny Carlos who provided great insights on what it meant to be in a church. I have snippets from his speech letting us know that being in church means we have a new identity, new community and new authority in Christ. The verse he referenced that to was Matthew 16:18. This 2019 I am also adding a new portion here on the monthly recap where I will be sharing snippets of what I’ve been loving for past month in terms of beauty, movie or show and others. Let me know if you like this idea. Beauty - The Althea Petal Velvet Sunaway has been a favorite beauty item for me this January. I love how it feels when applied - ultra lightweight, moisturizing and makes the skin look plump and healthy. Plus it smells really nice. Use my referral link to get 20% off on your first order at Althea! Movie or Show - I watched the Fyre Festival documentary in Netflix and it breaks my heart how the great event that never happened was handled by Billy. It was really a fraud and there is an intent to lie to the public. The victims were rich millennial who, bought the pricey ticket, went to Bahamas and was surprised not a single thing of what was promised to them happened. They were scammed real hard and although the world seem not to care since they were rich, as others put it, what makes the Fyre Festival really worth looking into is the fact that the workers behind the scene weren’t paid. The documentary did a good job highlighting these innocent workers both from Fyre and the locals at Bahamas who were the real victims here. I also enjoyed watching Bumblebee. I never thought a Transformer film could give that much humour. It is really a softer back to the 80s Transformer movie if I may say. Song - My Spotify Premium account expired this January but I did have a last song syndrome to Juan Karlos Labajo’s Buwan and Kathang Isip by Ben and Ben. Both OPM songs became were on repeat for me in the month of January. There are two declared holidays for February, we have February 5 and February 25. I am excited especially with the 25th since it is a long weekend. I don’t have any travel plans but I see off days as an opportunity to do some blog work and get ahead of my to do list. Hopefully I get really productive as planned. Last year attending Victory Weekend as a leader instead of participant became a monumental event for my spiritual life. It was a happy and proud experience seeing your One2One “baby” publicly declare his/her newfound faith in Jesus Christ. 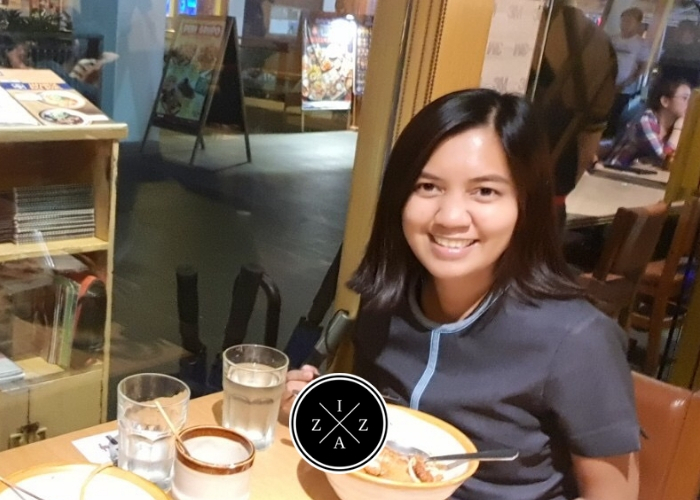 I’ve been doing One2One session with someone and I am praying she will be able to participate in the first Victory Weekend for 2019 which is happening February 15 and 16.